DO YOU HAVE A CROWD-SOURCED FUNDING RPG PROJECT YOU WANT TO PROMOTE ON THIS BOARD? Hey, guys! We're trying a little experiment here. It's been expressed to the mods that, on the one hand, crowdfunding projects (usually by way of fundraising sites like Kickstarter or IndieGoGo) that have been posted to the board have been, for the most part, pretty much just advertisements, so the feeling is we should be moving those posts to Ads/Open Promo as appropriate. On the other hand, there's a feeling that, because of several fruitful discussion threads about crowdfunding that have occurred between the game designer/publisher and board members, requiring all crowdfunding posts to go to Ads/Open Promo may actively prevent the sort of interaction betweens fans and game designers/publishers that RPG.Net hopes to promote. So, an an experiment, we're going to try this on for size. For the next couple of months (maybe more, maybe less, it depends on feedback received, remember this is an experiment so nothing's carved in stone), we're gonna make a sticky post featuring recently-begun crowdfunding projects. (2) If you want to start a post in the appropriate forum discussing the listed projects, you can do so without it being regarded as "someone who might be spamming the forum shilling for a game company". 1) This thread is to promote Card, Board, and War Game projects seeking crowd-sourced funding via Kickstarter, IndieAGoGo, and similar crowdfunding web sites. If you're putting together a card game, a board game, a war game, or accessories for the same, through crowd-funding sites, we'd love to learn about it! 2) There is a concurrent thread promoting RPGs and RPG accessories (dice, maps, OGL game supplements, miniatures, that sort of thing) in the Tabletop Roleplaying Open forum here. Again, if you're putting together an RPG or RPG accessory via a crowd-sourced funding site like Kickstarter, we'd love to learn about it. ...and so forth. The general rule of thumb is this: if it's not something that the player would use for his game in the course of playing an card, board, or war game, it doesn't belong here. 4) Please do not start separate threads in OGO to promote your crowdfunding project. You are welcome to post in this thread if your project meets the guidelines stated so far, and members of the board are welcome to comment on your project in this thread. If your project generates a lot of discussion, let me know and we'll move the posts to a separate thread so people can talk about it. 5) We encourage you to alter your .sig line to promote your games. You want to stay within .sig RPG.Net's guidelines, of course, but there's absolutely nothing wrong with saying "I'm raising money for my new game, Epic Awesomeness: the Party Board Game! Click here to learn more!" in your .sig. And as a reminder from our Rules and Guidelines: "Signatures are to be no longer than six lines of regular text or eight lines of Size 1 text. The use of quote tags, spoiler tags, blink tags, and images in signatures are prohibited. You may place promotional information or links into your signature if you so wish." 6) Asking "Can I add my project to this thread?" and then adding all of your project info before you receive an answer is not going to be looked on favorably by the mod staff. We've already had a couple of people try to sneak in non-eligible projects this way, and it's not appreciated. If you have other questions, please PM Sethra007 or one of the other mods. Thank you for bearing with us, as we test the waters! When A Kickstarter Campaign Fails, Does Anyone Get The Money Back? All Games Considered Interview 12 (Crowdfunding Spotlight) (52:41) - Features Jerry Grayson (Hellas), Eloy LaSanta (Part Time Gods), David Hill (Amaranthine, Maschine Zeit), and Dave Mattingly (Blackwyrm Games) discussing their experiences on IndieGoGo and Kickstarter. All Games Considered Interview 14 (Rik Falch of Valley Games/D-Day Dice) (26:16) - Valley Games raised over $171,000 for his game D-Day Dice (the top boardgaming-related Kickstarter of 2011); Rik Falch talked with us about their Kickstarter experience. You'll also want to listen to Funding the Dream, a podcast about successfully using Kickstarter. It's targeted towards board game designers, but many of the ideas are applicable to RPG designers as well. Here is their episode about Kickstarter and taxes. I also recommend reading the PurplePawn.com article How to Succeed or Fail on Kickstarter. Yehuda Berlinger surveyed several people who used Kickstarter, and collated their feedback into a very useful article. Check out this thread at Story Games to see how indie RPG game designers have used Kickstarter and similar sites. Finally, you ought to take a good hard look at the Kickstarter project data that's out there. You can find it on Kickstarters's blog, a good analysis from Edwin Chen's blog, and RPG-specific data from Geek Industrial Complex. Dark Horse is a board game set in the Wild West with an average playing time of 30 to 90 minutes. The game puts one to four players in the role of a character in charge of a small territory in the old west. Some examples of the characters in the game are Banker, Cowboy, and Tracker. Character have various abilities that give them advantages in the game as well as a starting bonus of some sort. Each player collects and uses various resources to build towns, cities, and rails to grow their territories. Players start the game with one city and two towns with the goal of growing out their territories to include additional towns, cities, and railroad connections throughout the areas that they control. The objective of the game is to collect the most victory points when the game ends. Players do this by expanding their territory, collecting gold, and obtaining Influence Points from certain actions on the game board. A fun and hopefully addicting boardgame that combines standard role-playing fantasy/action/adventure, with a unique twist that involves cooperation of the players to work together to succeed. My goal is to offer a challenging game, but with a re-playability factor not found in most games!... Since my project of creating a game is mostly abstract ideas, and I am concerned about other designers stealing my idea until it is copyrighted, I don't have any hard facts about it on the web as of yet. Lets just say it would be like combining the complexity of Dungeons and Dragons with the ease of the game of Life and throwing in a bit of allure of Magic the Gathering. A new and challenging game of matching and strategy. The skillful player will learn to plan out multiple possible moves to ensure play on an ever changing field. Game cards contain four colored numbers, one on each edge of the card. Your goal is to be the first player to run out of cards in your hand by matching the colored numbers on the edge(s) of your card(s) to the colored numbers on the edge(s) of the other card(s) on the field of play. In Force of Fiction, players will be influencing a story as it unfolds. This is done by giving challenges of various difficulty to the protagonist as she travels to different locations around her home. Success or failure in these challenges will alter her status. The story will progress based on this status as well as her location at the moment one of the 4 story frames is triggered. The timing of these triggers is a key strategy. To do so, players must choose which actions to take, and when. At the end of the story, whichever player had the greatest impact on it, will win. Kamakura is a game of feudal Japanese warfare in which you attempt to defeat an opponent by taking their territories before they take yours; this is done by carefully choosing combinations of weapons, soldiers, and arrow barrages to attack with, while defending your own territories with a myriad of defensive techniques. Strategy, deception, and bravery will be your most valuable assets in the complex and varied game of Kamakura. In this original, zany game of Museum Jackpot, you don't need a brain full of useless trivia; all you need is to be able to bid, buy, bluff and sell your way to board game riches! Buy yourself an ancient Roman Coin, get a few appraisals for it and sell it to the highest bidder! Better yet, dig up some dinosaur bones and, if you're lucky enough, assemble a whole set. All those lovely bones are now worth TWICE as much in the form of a full T-Rex, Stegosaurus or Triceratops! Ah… but wait, what's that over there? It looks like a Chinese Vase… could that be the Jackpot? Go for it. Acquire that thing however you can, and if it's the Jackpot, hang onto it! Have it in your slippery little hands at the end of the game to collect your fortune from the Jackpot Bonus Section! Watch out though, because surely everyone read your expression when you looked at the appraisal card. They ALL know what you have and they are coming for you! Raiding Parties is a collectible card game that takes place in the Golden Age. All of the artwork is by Don Maitz (who created the Captain Morgan Spiced Rum Logo). In the game The Road to Canterbury, players each play a pardoner just like Chaucer’s. As you travel the road on pilgrimage to Canterbury, you sell indulgences delivering pilgrims from the eternal penalties brought on by the Seven Deadly Sins. But to succeed as a pardoner, you will need to do more than just sell forged pardons for quick cash. To keep your services in demand, you will actually need to lead these pilgrims into temptation yourself! Perhaps some phony relics might help? There is one big catch. The Seven Deadly Sins live up to their name: each sin that a pilgrim commits brings Death one step nearer, and a dead pilgrim pays no pardoners! Samsara is a board game for 3-8 players played on a round board. It is unique among board games because it is a multiplayer abstract strategy game that involves no luck and encourages players to negotiate. Once all players have placed their follower pawns on different lotus points around the edge of the board, each on their turn must use four moves between any combination of their follower pawns. Whenever a pawn is surrounded by a greater number of pawns, it is absorbed by one of the other pawns (the pawns are cone shaped and stack easily). Stacks may be up to 3 pawns, and the larger stacks can absorb smaller stacks by themselves. When a pawn absorbs a fourth pawn, the oldest pawn it its stack is removed from play (sent to Nirvana) and counts toward that player's victory point total. Most games last around 30-45 minutes, though experienced players and larger groups may take longer. Startup Fever plays in the world of Web-startups, the world of Silicon Valley (or Silicon Forrest and Silicon Alley for my OR and NY friends). As the founder of a company, you have to hire a bunch of nerds to build your product. Of course, you also need some suits to sell your product. This being a startup, you pay your employees mostly in stock options.... As you gain more users, you make more money and can hire more workers. The tricky part is that the other founders will try to poach your workers away from your company. So you better take good care of them and pay them better! Venture Forth, players have a party of adventurers who each have their own personal ambition. Achieving an ambition allows the player to convert that adventurer's "will" into points and to possibly level him up. All ambitions require the player to venture forth, which means moving his party from one site to another along a path. One of the main actions in the game is playing an enemy or adventurer card to these path spaces. Once a path is completely filled in, any player can choose to venture forth down it and encounter each card one by one, recruiting adventurers, defeating enemies, and possibly gaining treasure along the way. A combination of resource management, path planning, and timing will help you along the way. The objective of the game is simply to battle and destroy all of your opponents’ pieces, so you are the only player left on the game board long enough to claim victory. The game is based around how much energy you have so actions like moving, attacking, and re-charging your shield require energy, some actions more than others. How effective your attacks are also depend on how much energy you risk/invest in the attack, before you roll the dice. Instead of painstakingly trying to draft just the right combination of cards or mini figures within a set amount of draft points, this game is setup to let you use your points to build your combat team however you see fit. You can build one big unit to go for the boss strategy, you can build a half dozen small units to go for the strength of numbers, or anything in between. "Dice Age" is a game of unbalanced, figurative, toyish, good to look at and to touch collectible dice. It's a game of strategy and risk-taking with wacky rules between "Uno" and "Magic the Gathering" - except it's played with dice! 2 players from 10 years old and over. 3 minutes to learn, 1 game to get the hang of it. 10 minutes game. The theme is an epic competition for the Crown of gods at the top of our cosmos. Be ready to feel in a deathtrap dungeon. Components: dice (23 different dice to be released of one cubic inch volume each), Rulebook (20 pages), awesome dice pouch. Particularity: dice game using attractive unconventional dice, that can have any conceivable shape. Overview: On his turn, a player rolls one of his dice. One rule; never overshoot the last number rolled, or you lose all the dice you rolled in the round. The last player in the game is the winner. Uncle Chestnut's Table Gype is a board game for 2-4 players. It has a simple goal: to get one's pieces across the board. Each piece is a wooden die, and each side moves differently. When a piece is jumped, it is rolled, and must move according to the new face-up side. Uncle Chestnut's Table Gype is inspired by an unpublished game concept by authors G.K. Chesterton and H.G. Wells. In his Autobiography, G.K. Chesterton mentions "the well-known and widespread national game of Gype" which he and H.G. Wells invented as a joke. Specifically, Chesterton mentions "I myself cut out and coloured pieces of cardboard of mysterious and significant shapes, the instruments of Table Gype; a game for the little ones." For more information on the game, visit its page on BoardGameGeek.com. Xiangqi (Also known as the Chinese chess) is one of the most popular board game in China...Now with your help, I am going to convert this wonderful game board into English. TrapStar is the ultimate strategy game. As a player, you will find yourself thinking, reacting, and hustling like a "D-Boy" (drug dealer). The game will introduce you to the very difficult life of a D-Boy. You will get a taste of the fast money and fortunes of moving "weight" (Drugs). you will also experience the lows of jail and numerous setbacks. You will find yourself wondering why you even got in the "Game" (trapStar game). Some rolls will have you looking like the "BMF" (large group of major D-Boys) and looking like "Jeezy" (famous rapper); Other rolls will have you crying as you are heading "Up State" (Jail). You may just "loose it all" (Get caught by the FEDS and lose money and drugs) while moving to a new city. It's all in the "Game" (Drug Game) and it's all in this "Game" (Trapstar Game). 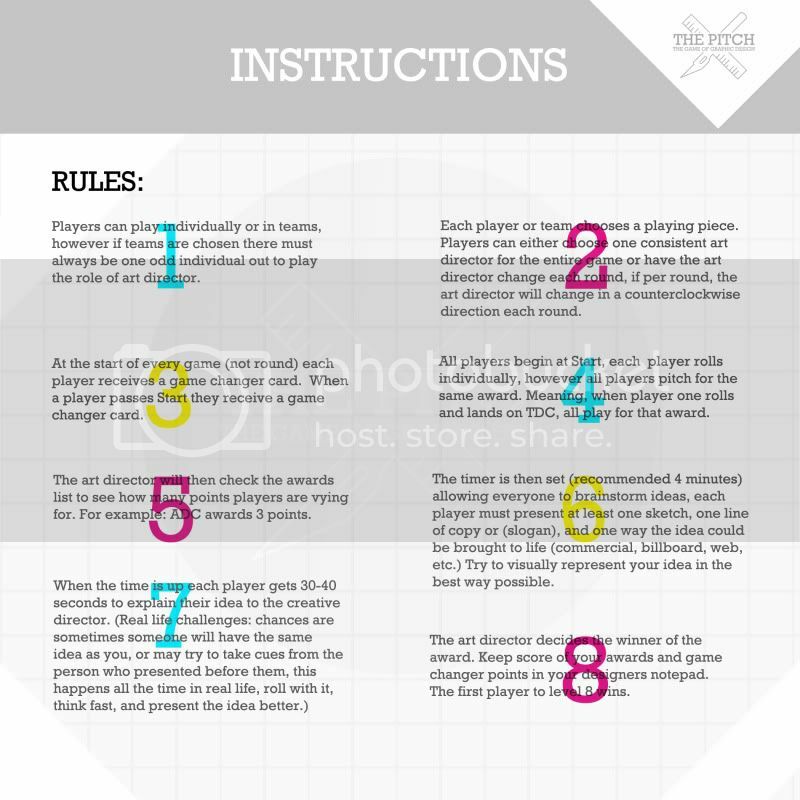 Take a look at the game rules. Leprechaun’s Castle is an awesome new board game for 2-6 players, ages 8 and up, and plays in about 30-60 minutes. In Leprechaun’s Castle, the players are noble family members in Ireland. These Lords and Ladies will score points by being the first to reach castles that contain Leprechauns before their close competitors. They will build and travel on roads between castles to begin a special exploration in search of collecting gold coins, pots of gold, and shamrocks. By carefully choosing from the available actions, players will draw road tiles and attempt to explore castles without getting caught by an evil leprechaun. Players will use their special abilities and plan their turns to locate the most shamrocks. These brave souls may escape the clutches of the evil leprechaun but not even the luck of the Irish can save them from a Banshee! This concept began as a late night discussion with an advertising friend, and turned into my undergraduate thesis. I wanted to "rebrand" the preconceptions about graphic design, I wanted friends, family, clients, and the general public to have a new found respect for the field, the legitimacy of which I think is too often minimized or entirely over looked. Kingdom of Solomon is a worker-placement game with a few new twists and turns. Do you claim a resource space, an action space or throw in all your remaining pawns to grab a powerful Bonus Space? Will you spend your resources to extend Solomon's kingdom, take some points in the Market or add to the Temple? These and many other choices await you in this highly interactive game. From the designer of the board game: Revolution! All pledged copies of this game will be shipped weeks before your favorite store will have them in stock, so you'll be the first one on the block to have your game! All games ordered from this Kickstarter event will come with the exclusive promotional card not found in the copies bought at stores. You will also receive your copies at least two weeks before anyone else will be shipping or have it in store. We hope to have this game in hand for GenCon 2011 in Indiana but for sure at Essen '11 in Germany. You can pick up your copy up there and we'll even teach you how to play it. Every player has 7 randomly drawn numbered cards and 3 symbol cards. Once the custom dice are rolled it creates a number. The timers are flipped and everyone tries to come up with the number using his/her cards. First person to get number and lay it down on table gets the points for that round. 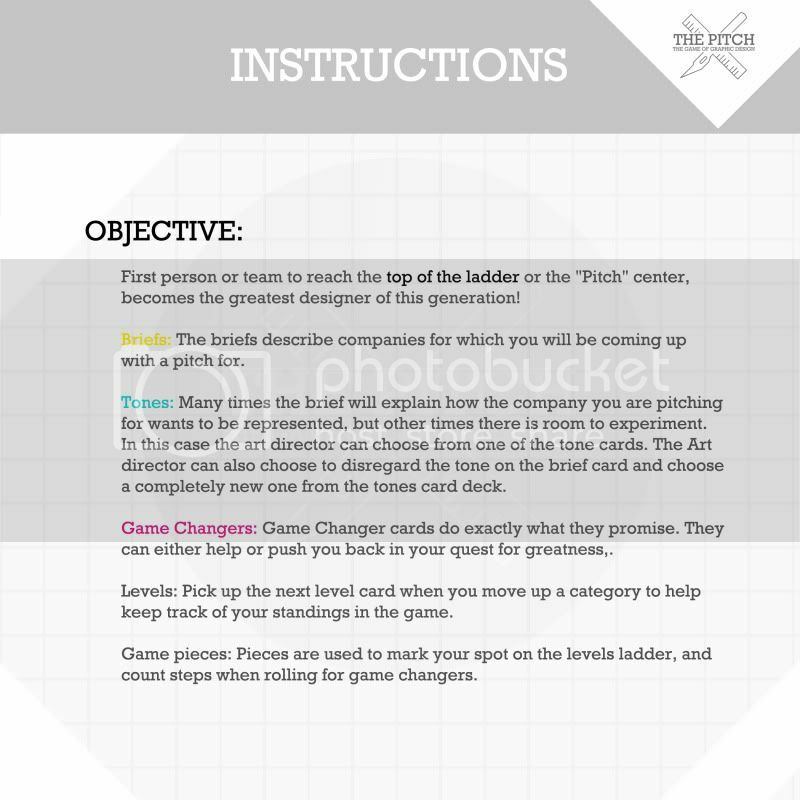 There are wonderful wild cards to mix it up even more and create all kinds of havoc and fun. As Monopoly and Settlers of Catan are to Economics, or as Risk and Axis vs. Alies are to Tactics this game will be to Evolutionary Science. Imagine Pac-man but with lots of pac-things. And instead of ghosts they eat each other, and instead of just a pan-pac-canibalooza you have a real eco system of dots evolving and adapting to one another and the system. Is there anything more fun and entertaining than watching generations of brute "natural" selection play out between you and your friends? If there is I'm too nerdy to recognize it. I have a vast array of both new mechanics and overall ideas of balancing raw hunting and seeking with the intricacies and wildcards found in the crazy world of evolutionary science.